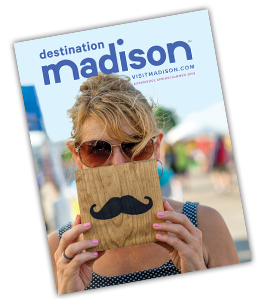 The Madison Home Expo is “the place to be” for the latest innovations, offerings and ideas in the home building and remodeling industries! For three jam-packed days, you’ll find wall-to-wall displays and exhibits on both floors. You’ll also have the opportunity to speak directly with experts and receive helpful “insiders” advice to turn your dream home into a reality. Learn the latest trends in design, product offerings, maintenance tips, and more! See kitchen and bath remodeling, roofing, flooring, home security, water conditioning, insulation, windows and exterior products, and much more. Discover the latest landscaping options and strategies.